Picture the scene: your feet in the sand, coconut water and tacos on the table and the kind of sunset that needs #nofilter painting the sky purple for an Insta shot that’ll have them sobbing back home. This is the dream…and your office for the day. 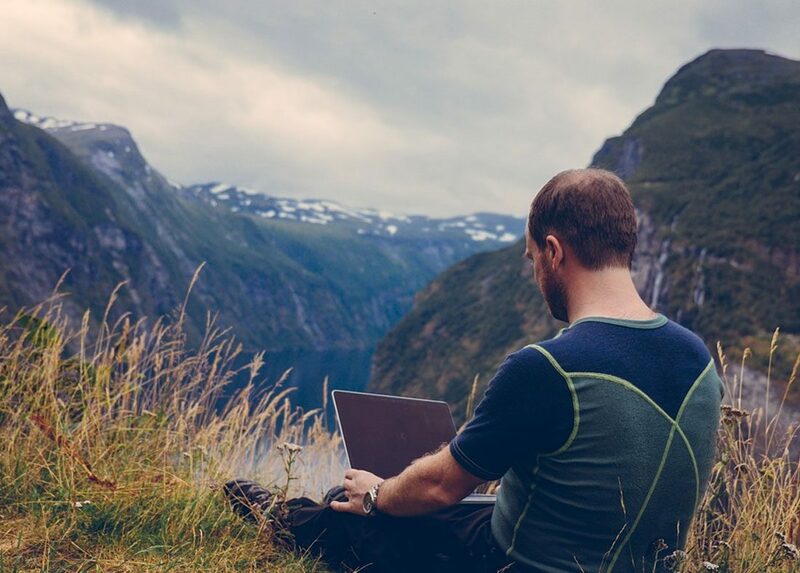 While the idea of combining remote working with exploring a new destination sounds like the dream, the reality is that there’s work to be done if you want the money to see the sights. Just like freelance working from home, you’ll need to hustle if you want to keep the clients coming in and finding the motivation to do that is easier said that done when there are Bintangs to drink and sunsets to see. Becoming a digital nomad has never been as popular but we’re a world that got used to the working week. Breaking with the norm will always raise eyebrows, so whether it is your nan or your old colleagues wondering what on earth you are doing, you can guarantee you’ll find yourself justifying the big move to a roomful of people who think you’re either mad or just on one huge holiday. Whether we’re talking Wi-Fi, trains or computers, we’re used to things working in our slick cities and cosy office spaces. Things aren’t all rosy in places where the beach might be your office but the infrastructure is still developing. Slow and inconsistent Wi-Fi, broken computers without an Apple shop in sight and train or plane delays that leave you in the middle of nowhere hit hard when you’re juggling deadlines. So, how do you bridge the gap between sailing your own ship in ever-changing waters and casting off as fully-fledged digital nomad? Firstly, find a job you don’t need a holiday from. When you love what you do, you’ll be more than happy to put a couple of hours’ work in here and there when you’re on your jollies, leaving you less likely to give up the grind entirely for a life on the road. If you’re already self-employed, replace your home office with a co-working space to see how you perform with a change of scenery (we know this great place called Helm – heard of it?). If you’re still working on sticking it to the man, approach the boss about remote working one or two days a week. It’s a great way to give working on the road a go without committing to Bali and beyond.